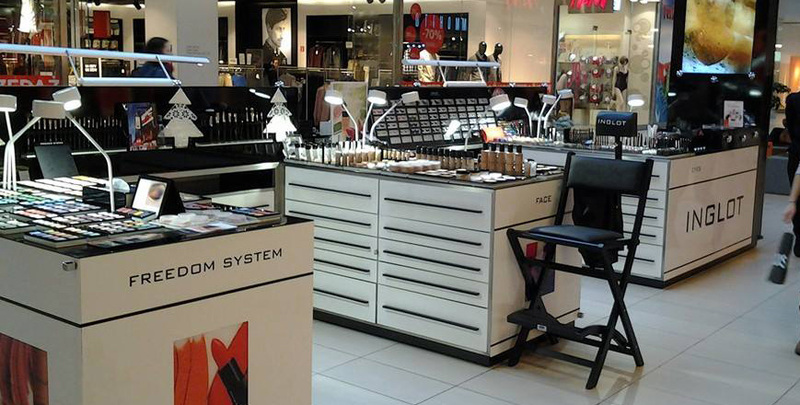 Cantoni’s products were created with freelance make-up artists in mind, but are at home in boutiques, beauty salons, sales outlets for cosmetics and make-up corners, which have become very popular in the best beauty stores and in the large-scale distribution sector. To increase sales, you need to attract your customers’ attention and create interest without being invasive. Cantoni has developed the perfect combination of light and elegance, a spectacular union that will attract all gazes, facilitating the work of sales assistants and promoters. 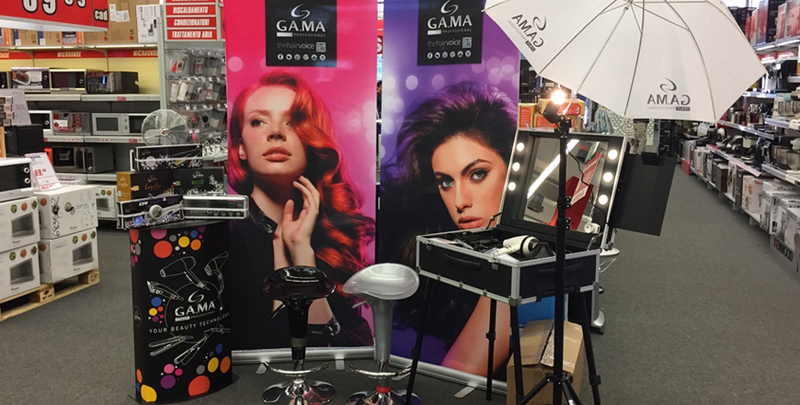 Thanks to the I-light lighting system and the perfect detail of the image, Cantoni’s lighted make-up stations and large mirrors are often the subject of photographs taken by customers, which increases word-of-mouth in media channels and increases the visibility of the sales outlet. Illuminated mirrors from the Unica range for furnishing beauty salons. 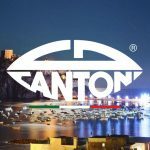 One of Cantoni’s bloggers wrote “wherever you find professional make-up, you will find Cantoni”. Even those not working in the trade associate the illuminated workstations with professional cosmetics and beauty. 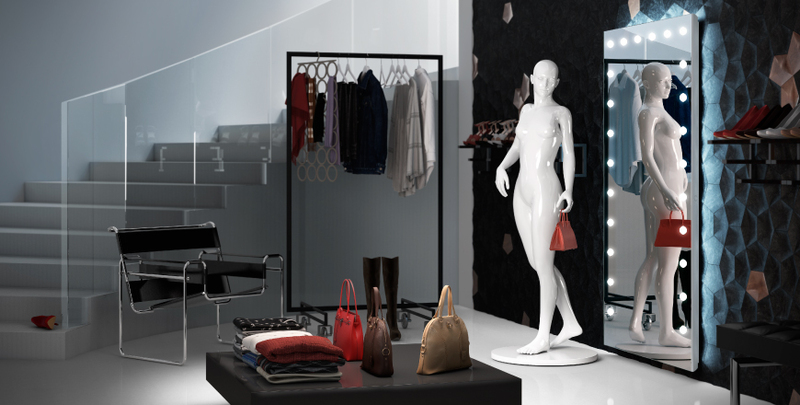 It is easier for store managers of sales outlets to build trust and appreciation of the beauty products or clothing ranges presented to customers if they are supported by Cantoni mirrors and beauty parlour with lights. It immediately reinforces the positive image of the brand promoted. Cantoni's make-up case with lights has become an unmistakable icon. 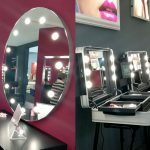 Corners equipped with Cantoni’s illuminated mirrors can be used for many purposes in commercial spaces: special beauty parlour with lights, promotional events, spaces rented for promotional days, courses on how to apply your own make-up or live make-up shows with entertainment. The comfortable, anti-tip make-up chairs complete with headrest for make-up corners. The evocative table mirrors with lights, romantically inspired and equipped with I-light technology, they are available in various models, in fine, handcrafted wood or glossy methacrylate. Wheeled make-up stations from the professional and furnishings range. They are the perfect cross between a make-up case and a fixed installation make-up corner: comfortable, spacious and with a generously sized mirror, shelves and drawers. 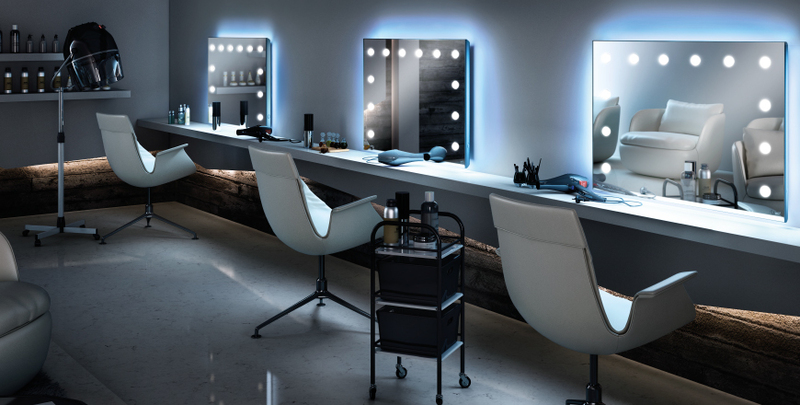 The wide range of illuminated and decorated mirrors from the Unica range, together with the comfortable make-up chairs, are the ideal products for furnishing any store or commercial space. Its famous portable make-up stations (make-up cases). Illuminated pier glasses for stores from the Unica range.